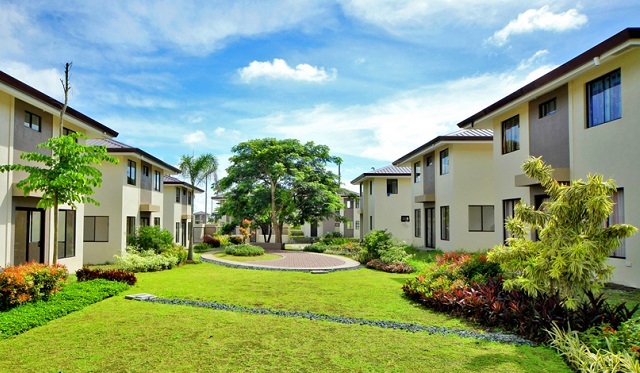 Amaia Steps is the first affordable mid-rise development in NUVALI. Slated as Ayala Land’s very first affordable mid-rise residential development in Sta. Rosa Laguna, Amaia Steps Nuvali is a masterfully planned 2290-hectare township project in Laguna poised to become the pioneer in the Philippines’ eco-community development. With 14 buildings to its name (with 5-6 storeys each building), Amaia Steps Nuvali will have a total of 1,140 units which are all expertly and masterfully planned to fit various lifestyles. Well-designed condominium units run the gamut from studio to premier units to ensure that there is something suitable for every kind of resident—whether they would be esteemed professionals and individuals or starting-out families looking for a place to settle down. At Amaia Steps Nuvali, each condominium unit is thoughtfully created to befit the kind of lifestyle its prospective resident will have. Units are spacious and well-designed with the premier units equipped with balconies affording an expansive or even panoramic view of the entire condominium development complex. These terraces give residents scenic views comprising of thoughtfully planned greens and open spaces—not a bad way to start your morning and definitely an excellent view to wake up to. One of the main features about living in Amaia Steps Nuvali is having access to all of its amenities and facilities. Indulge yourself and treat your family to an invigorating lifestyle. Located at the center of the 2.8-hectare development is an amenity hub projected to match a myriad of lifestyles. Amenities include swimming pools, a central clubhouse, a basketball court, a play zone for your kids as well as a grand lawn that makes for a perfect relaxation area. In this regard, living in Amaia Steps Nuvali would connote a leisurely lifestyle that allows you and your family to spend indulgent weekends without ever leaving the community. Play a round of basketball with your kids or cool off at the swimming pool, relax at the grand lawn and celebrate life’s momentous occasions and milestones in the central clubhouse. Whatever you choose to do is very possible at Amaia Steps Nuvali. Situated in the cities of Sta. Rosa, Calamba and the Municipality of Cabuyao in Laguna, Nuvali plays a pivotal role in the growth corridor of the CALABARZON Region. Amaia Steps Nuvali stands to benefit from the perks and privileges that come with standing in a fully master planned development which residents can equally enjoy. In proximity to the condominium projects are mixed-use developments such as neighboring villages, institutional establishments, and projected retail areas. With all these considered, truly everything is within reach at Amaia Steps Nuvali!